Lilly Singh has been receiving a lot of love from her Indian fans and that especially grew more after her recent visit to India. The popular YouTuber was seen rapping with Ranveer Singh to Gully Boy tracks and now it seems the comedian may have given a thought to trying her hands at singing and guess which Bollywood singer came to her help. It was none other the supremely talented, Neha Kakkar. 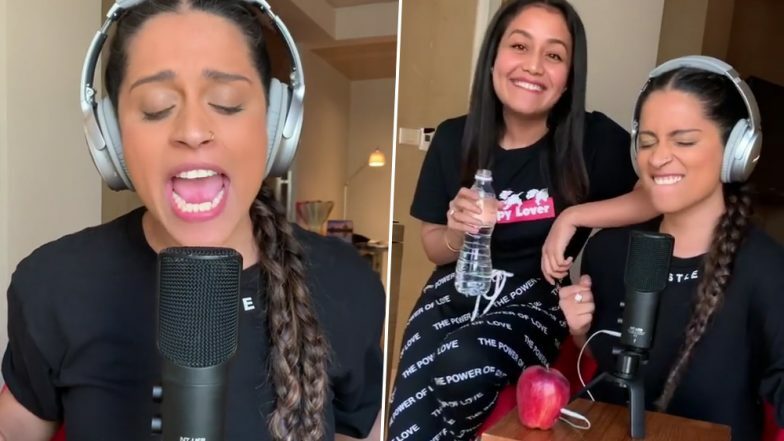 In her latest Instagram post, Lilly Singh shared a video of her lip-syncing to Neha Kakkar's sensational track, "Aankh Marey" from Simmba. Lilly Singh recently arrived in Mumbai for the YouTube fanfest event and was seen mingling with Bollywood actors such as Ranveer Singh and Varun Dhawan. Being a close friend to Priyanka Chopra, Lilly is already enjoying a lot of fan following in India and looks like with her recent stint of crooning a Bollywood track, she may be adding on to her Indian fan base. Priyanka Chopra’s BFF Lilly Singh Aka IISuperwomanII Comes Out As Bisexual Publicly! Check YouTuber’s Tweet. 2019 has kicked off on an amazing note for the YouTuber considering she has been signed on for her own Late Night Show with NBC. Lilly Singh has become the first ever woman of Indian descent to get her own Late Night show. The show is all set to take off from October this year.